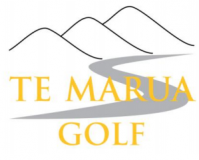 The Te Marua Ladies had good results in the Twin Club Challenge on the 8th and 9th November, in the 2 day Stableford Kerry Baines won Division 1 and the $500 Prodrive Voucher, Amie Clisby was runner-up Awesome Ladies!!! In Division 2 Faye Turner was 3rd and Mary Penrose 4th – Excellent effort!!! Kerry Baines and Chrissy Doughty were runners-up on the 2BBB and Amie Clisby and Kim Abrahams were 4th – Awesome!!! Despite the weather a great time of golfing was had by all participants. All Te Marua Women members are invited to their Annual Dinner and Prize Giving on the 5th December at 6.00pm, venue will be at Grahame and Maree’s – 79 Cruickshank Road, cost is $20.00. Please put your name on the list in the women’s changing room notice board. If any Women club members have trophies please drop them into the office/shop. The three men golfers that made the cut for golfer of the year finalist on Sunday were Brett Keno, Fernando Williams, and Luigi Pailman. The last opportunity for men to make the final cut will be this Sunday. Winners of the $50.00 raffle was Steve Heller and Kerry Baines. I am still waiting for confirmation of Champion of Champions – Thanks to Amie, Kim and Allan. Last weekend to make the cut for the Shootout!!! Have you registered for the Masters??? Winner of the Arthur Avis Memorial played on Sunday 4th November was Brett Keno/Keith Morris 48, 2nd Fernando Williams/Luigi Pailman 46, 3rd Mel Phillips/Malcolm Wellington 46, 4th Carole Medway/Theresa Scholey, 5th Amie Clisby/Kim Abraham, 6th Chris Hislop/Allan Old, 7th Owen Frost/Mark Harper, 8th Murray Quinn/Stephen Quinn, 9th Dave Anderson/Greg Judd and 10th Wayne Bach/Pat Williams – Congratulation to all participants. I would like to take this opportunity to welcome Sam Rammell, Russell, Jonathan Nippert, Damon Jakeman, Owen Lloyd, John Gallagher Chad Johnston, Kayle Adams, plus members from Featherston Golf Club Adrian and Sharon Ash, Stephen and Debby Morgan, Norman Ellis, Brent Leader, Patrick Melaugh, Charlie Priestely, Alex Walters, Tai Walters, I am sure our members and staff will make you feel very welcome to our AWESOME club. Saturday – course available for play. Sunday – Club Day Austad Cup round 2, golfer of the year Rd 9. Monday – course available office/shop closed for the day. Tuesday – Mid-Week men’s shootout Final, teeing off #1 at 10.00am. Wednesday – Mid –Week Women . Thursday – MW- Men travel to Levin. Friday – Group Booking at 11.00am – teeing off #1 and #10 – Limited Tee times.